RIDGID® thermal imagers feature the latest technology, including the best image in their class and an easy-to-use interface, to help you more efficiently predict problems before they happen and prevent costly downtime. And, the ruggedly built tool, backed by the industry’s best warranty, gives you the confidence to take it on any job. 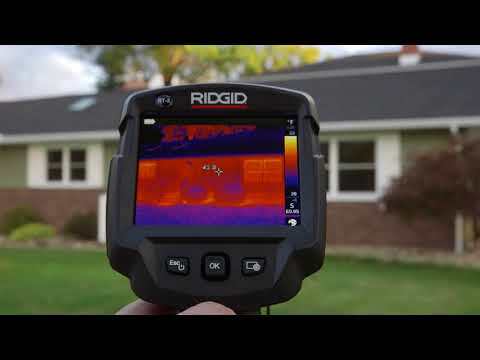 For your thermal imaging needs, turn to the trade’s most trusted brand. Using pixel shift technology, SuperResolution effectively doubles the resolution of your camera, allowing greater detail to detect anomalies. Our RT-9x 320×240 resolution imager can create images with resolution as high as 640×480 using the perspective change provided by natural hand movements when capturing an image. Thermal images taken with SuperResolution rival higher resolution, higher cost cameras. ScaleAssist automatically sets the optimum thermal image scale. This makes evaluation of construction errors and thermal bridges easier than ever before. Interpretation errors can be caused by false evaluation of the scaling. Undesired extreme temperatures are automatically filtered out of the image and are only represented as such when they really are present. This makes infrared images comparable in spite of altered ambient conditions. This is critical in before-and-after images. Intuitive interface and menu to save time on site. Easy to grip rubberized overmolding for one handed operation. 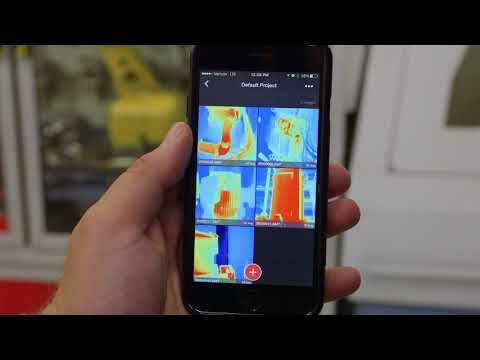 Create and share reports quickly and easily with the RIDGID® Thermal App. 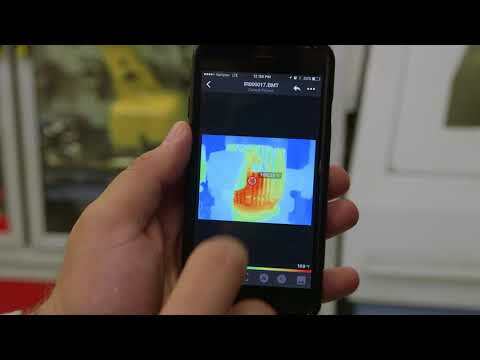 View, edit, and analyze captured images from the thermal imager directly on your mobile device. Includes Rechargeable 3.7V Li-Ion Battery and Scale Assist. Includes Rechargeable 3.7V Li-Ion Battery, Scale Assist, Wi-Fi/App compatibility, integrated digital camera, and ε-Assist. Thermal Imagers is rated 5.0 out of 5 by 2. Rated 5 out of 5 by Anson from Hot water crossover in a tub/shower valve I was at a 10 story assisted living location where there was obviously hot water crossing over into the cold water supply. I was able to use deduct the riser affected and use the thermal imager to pin point the exact single handle shower valve that was allowing the hot water to cross over into the cold side with just a quick glance. I would definitely recommend this tool. I am looking forward to discovering more ways to use this technology to make my job easier. Rated 5 out of 5 by MickPlumb from Great imager, hardware is responsive and provides great resolution. So far this imager has been impressive, the cameras hardware and software work well together, providing a quick start up and great image resolution. Intuituve menu system makes setting changes simple.